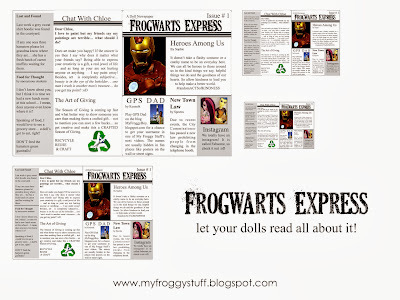 The Frogwarts Express has a new issue hot off the presses! just click the link to download your own copy of this fabsome doll newspaper! After downloading, we cut out the desired size ... glue the inside pages to the inside with a glue stick... allow it to dry... then fold on the center line... and I am done.